- Sift the flour through a sieve into a large bowl then make a well. - Beat the egg in a teacup and pour it into the well. - Combine the milk and water then, stirring constantly, slowly add it to the mix. - Once all the liquid is combined beat until smooth. - Heat a frying pan over a medium heat and add a few drops of oil or a knob of butter (pour off any excess and reserve for re-lubricting the pan as it will dry out after each pancake). 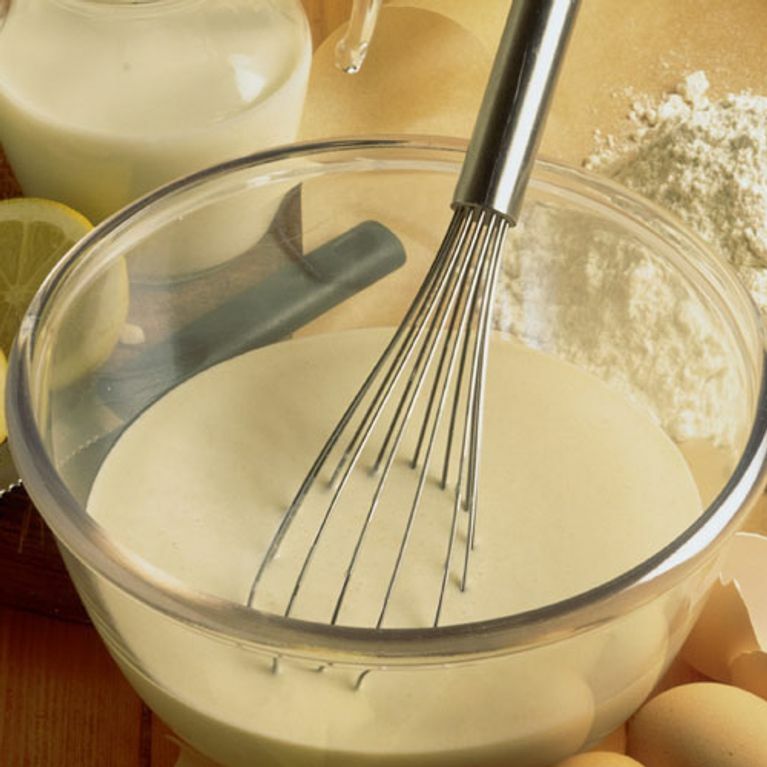 - Pour a little batter into the pan and swirl so that the pacake batter coats the bottom. - Loosen the edges and flip it over either using a fish-slice or spatula. You can also shake the pan and flip it over using just this but be careful!! - The underside should be golden, if it's not you can always give it another flip when this side is cooked (1-2mins). - Either serve immediately or pile the pancakes on to a warm plate with sheets of greaseproof paper in between each to prevent sticking. 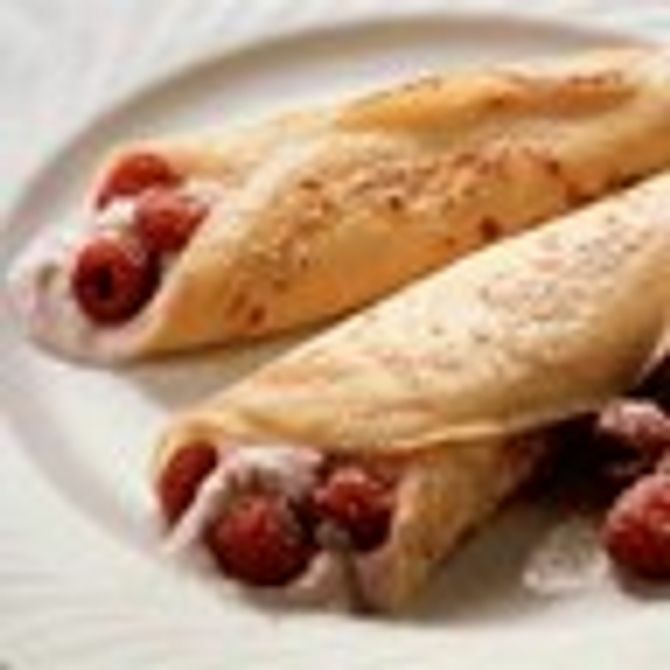 - Keep your pancakes in the oven (on a very low setting) to warm and continue to make 8 pancakes in total.